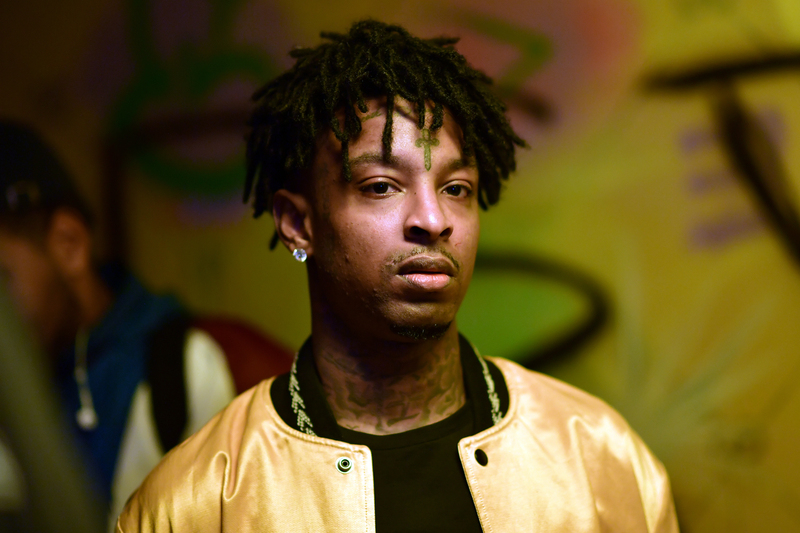 One week ago, 21 Savage was arrested by by U.S. Immigrations and Customs Enforcement (ICE) for overstaying a visa issued more than ten years ago. The Atlanta rapper is originally from the U.K., and he is currently being detained by ICE at the Irwin County Detention Center in Georgia. His surprise arrest by immigration officials is likely the biggest story in music, but you wouldn’t know it from tuning into the 61st Grammys. Aside from one blink-and-you’d-miss it reference during an acceptance speech, 21’s story was nowhere to be found during Sunday’s broadcast of Music’s Biggest Night. According to tweets from his manager, no one from the 21 Savage camp attended the Grammys. “We were given tickets last minute before the show when it no longer mattered,” he wrote. The silence on 21 Savage’s arrest and detention felt even more pronounced given the potential opportunities to bring him up during the televised broadcast. “Rockstar,” the song for which he was scheduled to perform, was nominated for Record of the Year. In addition to his scheduled performance with Post Malone, he was also absent from Drake’s speech following a win for “God’s Plan” in the Best Rap Song category. The two collaborated on Drake’s “Sneakin” (and Drake famously bought 21 a Ferrari) in 2016, but Drake used his time onstage to criticize the Grammys. Apart from one oblique mention to immigration — J Balvin appeared during Camila Cabello’s opening set holding a newspaper that read “Build Bridges Not Walls” — the awards ceremony was depoliticized. 21 is also present on Childish Gambino’s “This Is America,” winner of the Song of the Year — and the reason for his only onstage mention. Donald Glover did not attend the Grammys, but his co-writer and co-producer on the song, Ludwig Göransson, gave one of the night’s only public statements about 21 Savage. “21 Savage should be here right now,” he said, as walk-off music played.